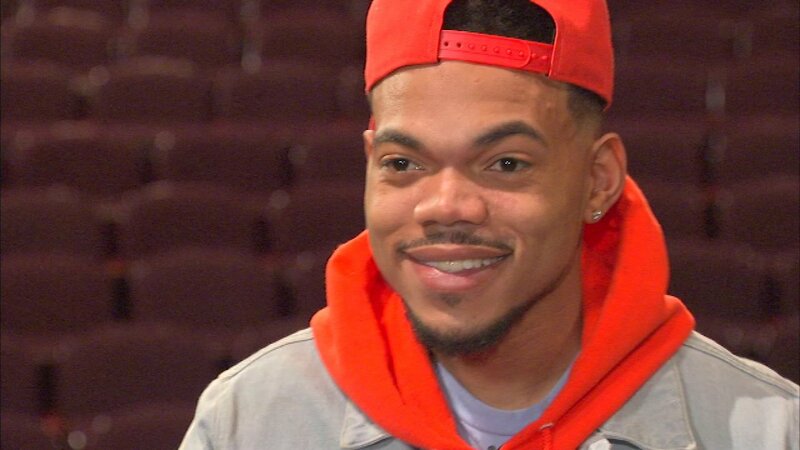 CHICAGO (WLS) -- Chicago native and Grammy winner Chance the Rapper is teaming up with the rideshare company Lyft to help raise money for Chicago Public Schools. Starting Tuesday, riders can round up their fare to the nearest dollar and the extra change will go to The New Chance Arts and Literature Fund. Last month, Chance the Rapper announced that his non-profit organization SocialWorks has raised $2.2 million that will be given to 20 CPS schools for arts education programs. Chicago native and Grammy winner Chance the Rapper announced on Friday that his non-profit organization SocialWorks has raised $2.2 million that will be given to 20 CPS schools for arts education programs. SocialWorks, in partnership with CPS and arts education advocacy organization Ingenuity, created the New Chance Arts & Literature Fund to bring arts education to schools where budgets have been cut. The fund's goal is to strengthen arts curriculum, provide materials to students, encourage enrichment opportunities and hold CPS accountable for maintaining standards for the programs. In addition, Chance pledged $1 million to Chicago Public Schools back in March. At that time he also agreed to donate $10,000 for every $100,000 donated by other groups to support Chicago schools.